A new report on a trial conducted by the Education Endowment Foundation and the Behavioural Insights Team has provided some fascinating evidence of the potential to nudge parents to engage with their children’s school performance. 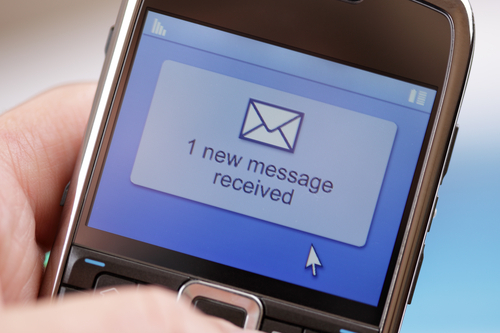 The trial shows that sending text messages reminding parents about forthcoming tests, missing homework and curriculum information was effective in improving attainment levels in maths and reducing absenteeism. This is an excellent piece of work and provides robust evidence of the potential for more effective communications as a means of improving outcomes for children. A trial we carried out at London Borough of Lambeth on the use of text messages to prompt people to pay their council tax on time (and indeed previous trials BIT have carried out on fine payments and hospital appointments) showed that text messages could be a very effective means of communication. However, our trial findings differed somewhat from these other trials in that what we found was that the effect of text messages degraded over time. As recipients become more used to receiving the text messages they lose their salience and consequently their effectiveness reduces. BIT’s previous trials, I believe, were conducted over a shorter period of time and so would not have been able to capture this effect in their results. This latest trial did run for an entire academic year and so would have allowed for any degrading effect to be determined. However the way the trial was designed to measure progress on attainment (based on standardised testing at year end) masks the effectiveness of text messaging over time. Whilst the evidence the trial brings of the impact and effectiveness of text messaging on attainment and absenteeism is not being called into question, it would be interesting to know how whether the effect was sustained over the course of the trial. Weariness and ‘consultation fatigue’ are well known among engagement and participation practitioners. It is essential to recognise the importance of salience in communications aimed at increasing engagement, as well as embracing the learning from this trial. A culture of experimentation – test, learn, adapt – constantly seeking to refine and enhance the ways we work, is the most reliable way to ensure we draw on evidence of what has been tried before, but apply it and test it for ourselves.